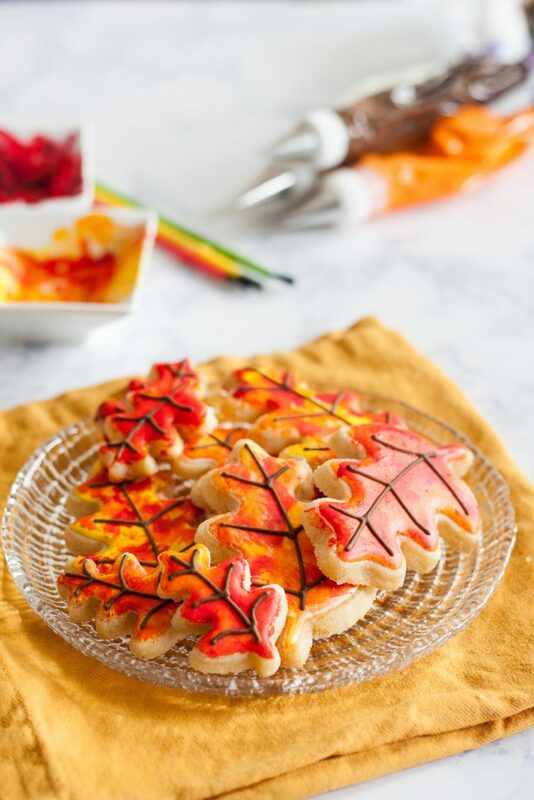 Decorating festive autumn sugar cookies is easy with my painted fall leaves sugar cookie tutorial. Using either royal icing or fondant as a base, learn how to paint sugar cookies to create vibrant and beautiful designs. Shortly before I closed the bakery, I began this phase where I wanted to paint EVERYTHING! If there was a way I could work painting into a design, I would do it. I loved the look. Naturally, this happened right as I stopped taking orders and became a food blog, so I play with this technique mostly in my “free time”. I do use it for my cherry blossom cake tutorial which you can find here. 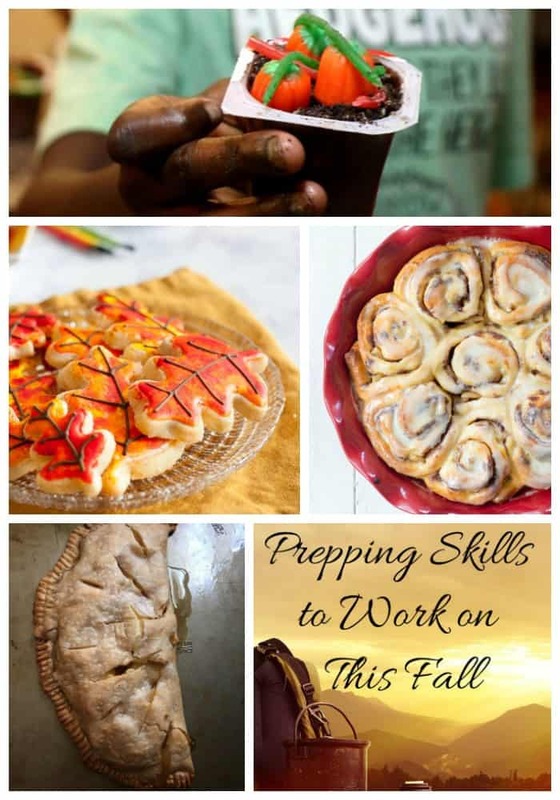 The funny thing is, it took two years to post an autumn sugar cookie tutorial using the technique and I’m not sure why. 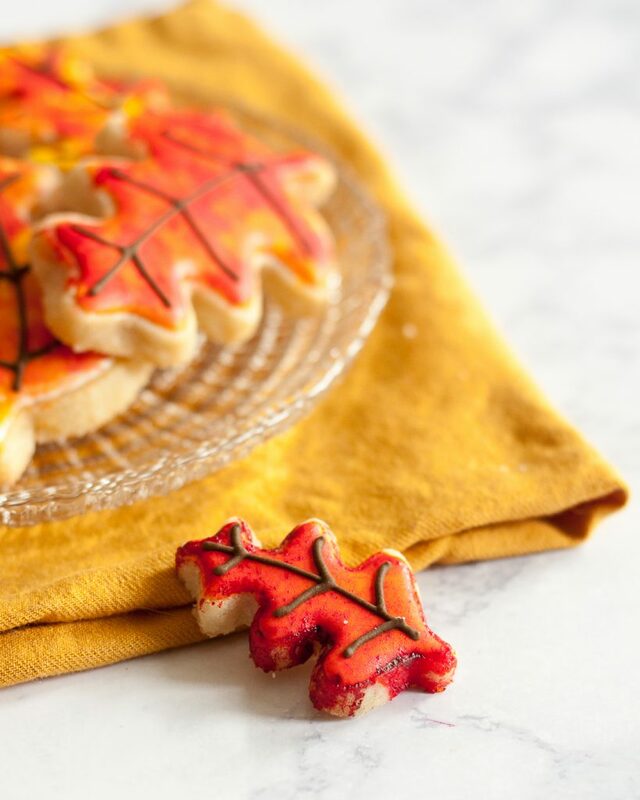 But it’s here now, and Fall is practically here, so let’s decorate cookies! Painting on sugar cookies is a lot of fun, and a great way to make stunning cookies, even as a novice decorator. 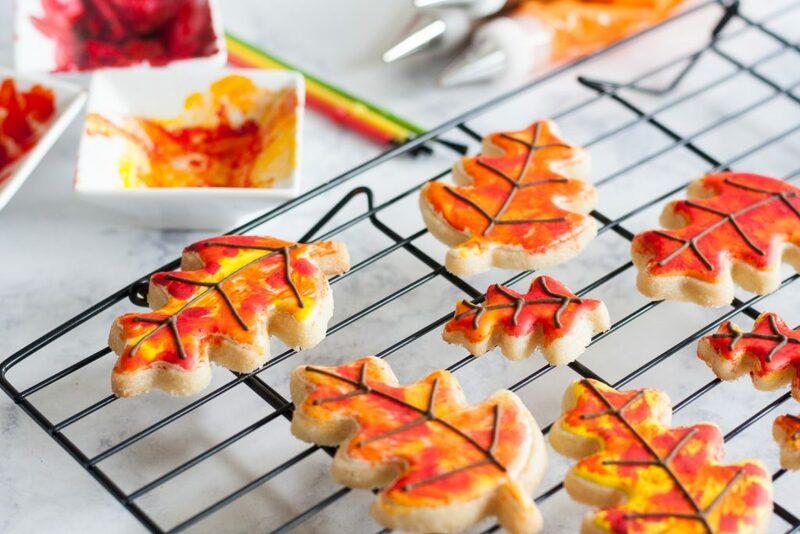 I feel like the painting technique is perfect for fall leaves because each leaf is different, and each cookie will be unique. Serendipity, isn’t it? 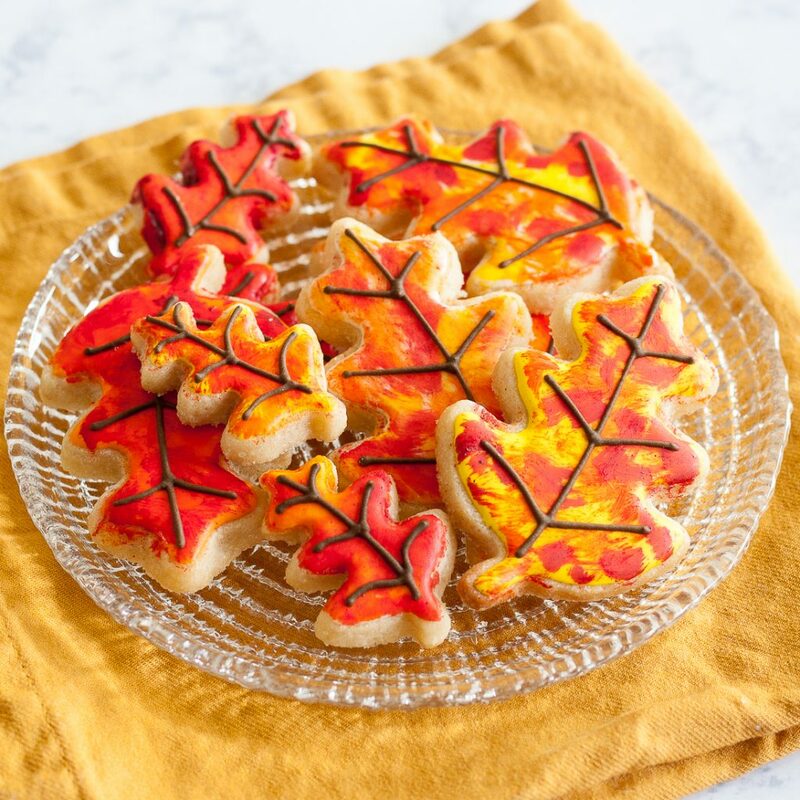 Start by baking your favorite sugar cookie recipe (if you want to be totally “Fall” about it, I have a pumpkin sugar cookie recipe here) and cut into leaves of assorted sizes with cookie cutters. 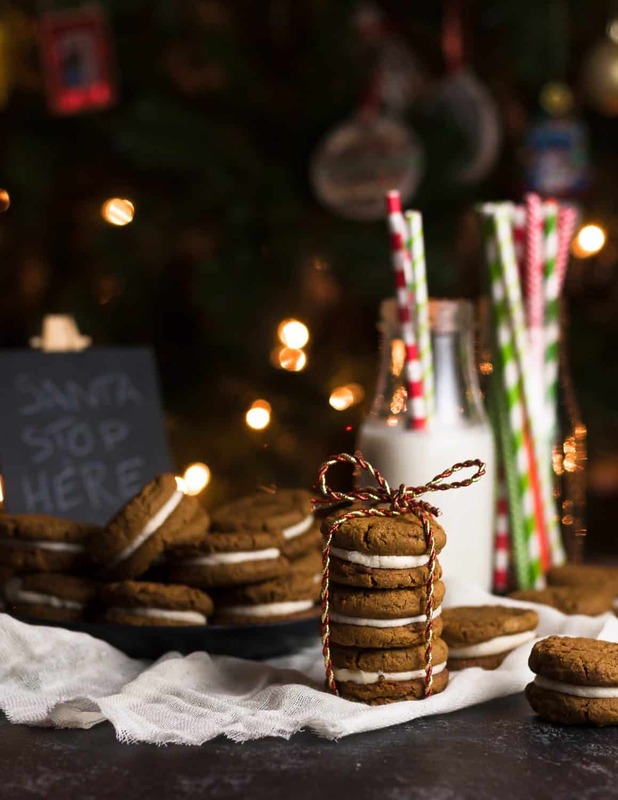 Allow the cookies to cool completely before decorating. You could paint directly on the cookie, but you will get the most vibrant colors if you add a base first. 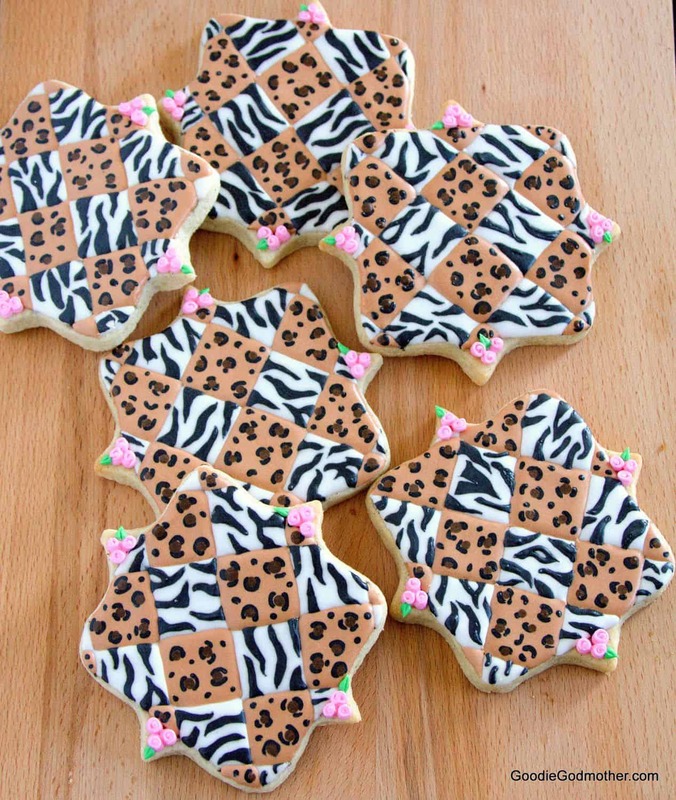 For these cookies I primarily used a basic white royal icing in flood consistency (10-15 seconds). I tried a few with orange and yellow bases, but preferred the flexibility offered by the white base. Once you’ve piped your base layer on the cookies, allow 4-8 hours of drying time so that the icing is completely set. Now, if you are in a pinch or don’t want to use royal icing at all, you may use fondant as the base and melted chocolate for the stems. Cut the fondant to fit each cookie using your clean cookie cutter and use decorator’s icing or a bit of melted chocolate to attach the fondant to the cookie. Paint your fondant as usual. Once all the cookies are painted, melt your chocolate, place in a piping bag, and pipe the veins on your leaves. Once your base is set, mix up your paint colors. I used red, yellow, and orange and mixed them with a bit of clear extract. Any clear extract or high alcohol content liquor will do, my personal preference is lemon extract. Combine a few drops of the extract with a few drops of your gel, and stir with your paintbrush. Dab the paintbrush on a clean paper towel so it isn’t too wet, and you’re ready to paint! This part is very easy, and fun, and great if you have small helpers in the kitchen. While I painted most of these myself, my little one decided she wanted to lend a hand for a few, and this little cookie was one of her creations. She was so proud! 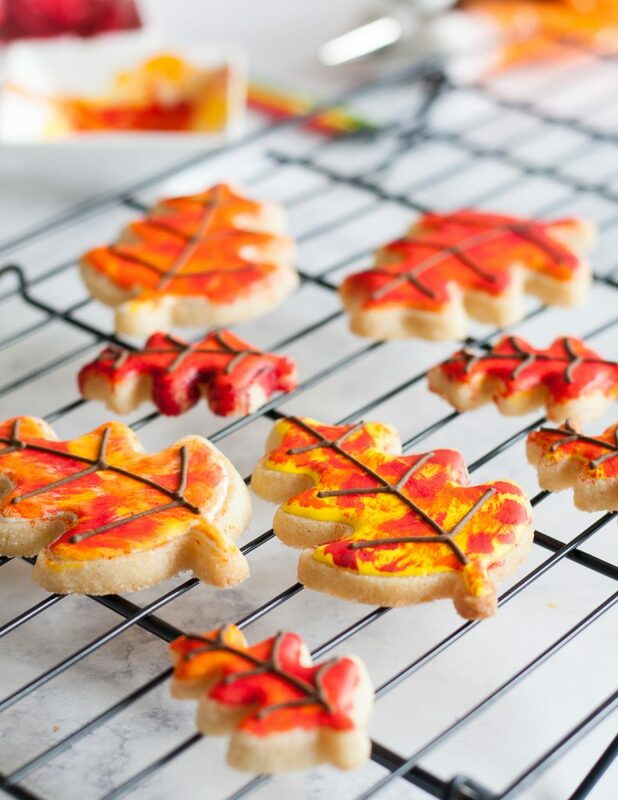 After you’ve finished painting your cookies, pipe on your leaf veins (you could paint them if you have a steady hand! ), and allow the cookies to set for 2-3 hours. The stiff royal icing I used for the veins dries quickly. 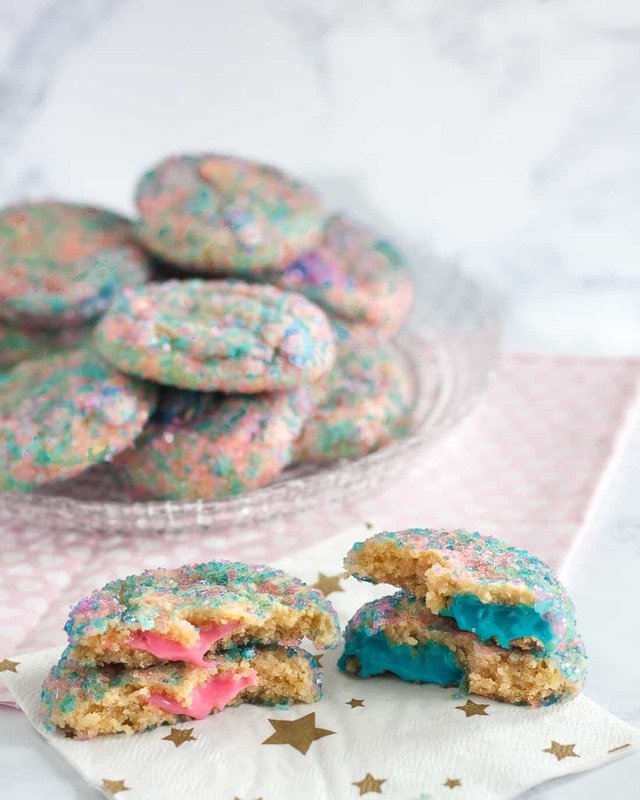 Once the cookies are set, you may package them to share or store in an airtight container at room temperature until you’re ready to serve. 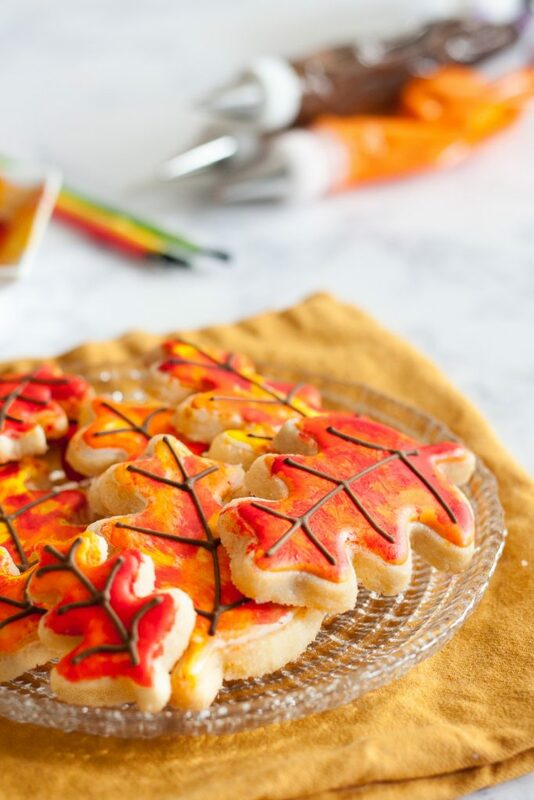 I hope you enjoyed this Fall themed sugar cookies tutorial! Apple Pie Cinnamon Rolls, Cook. Craft. Love. Now this is one frosting and painting technique I can get behind! Because no matter how you do it… you can’t really “mess up”! haha yes!